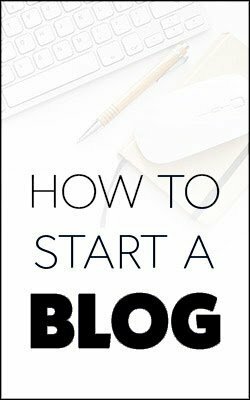 As a free-roaming digital nomad untethered to an office, you can live and work from anywhere you want (or at least, anywhere with wifi). Instead of struggling to get by in an expensive city, you could move somewhere with a low cost of living where your dollar will go far. In fact, several cities around the world have become hubs for digital nomads, thanks to their low cost of living combined with a high quality of life. Curious about the most popular, I did some research into low cost of living cities that digital nomads love. Here are seven of the best for living and working abroad — at least, until you move on to your next destination! 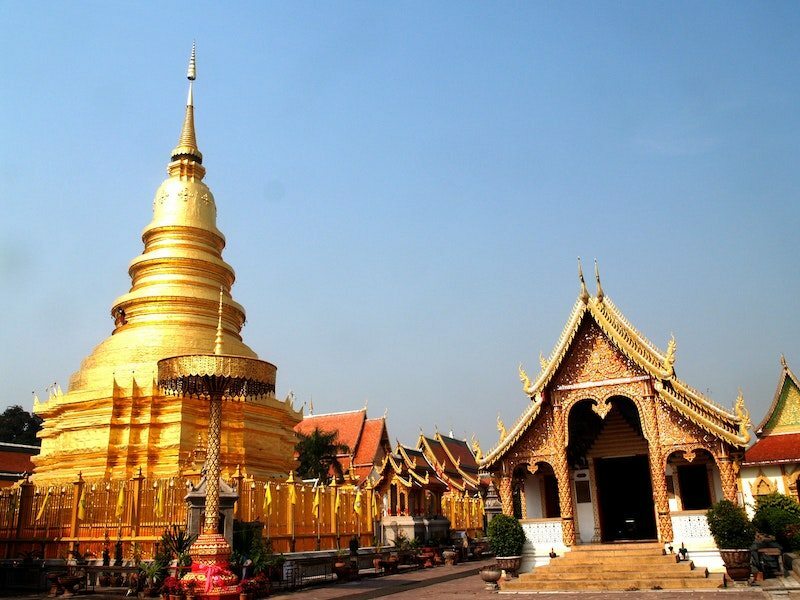 When I looked into low cost of living cities for digital nomads, I consistently saw Chiang Mai popping up at the top of lists. Not wanting to give the same advice as everyone else, I vowed to move Chiang Mai closer to the bottom of my list, if I included it all. But then I thought about the $3 red curry I ate there on the daily and the $6 Thai massages that were some of the best massages I’d ever had. And oh yeah, the daily yoga classes and sprawling street markets overflowing with fresh fruits and vegetables and beautiful, traditional handicrafts from nearby villages. Plus, it was incredibly easy to plan a day trip into the jungle for trekking or visiting elephant sanctuaries or just relaxing away from the flow of motorbikes. So, I gave in — Chiang Mai really does live up to the hype, and it deserves its place at the top of the list. On top of all its excellent food, near ubiquitous wifi, and thriving digital nomad population, Chiang Mai is also seriously affordable. According to Numbeo, this city in northern Thailand has a cost of living 73% cheaper than New York City, and its rent prices are almost 90% lower. In fact, you could maintain the same standard of living in Chiang Mai on $2,000 per month that you would in New York on $7,800 (and you could get by comfortably on a whole lot less). With such a low cost of living, you could easily save money — or work part-time and spend the rest of your time exploring Southeast Asia. If winding, medieval cobblestone streets are more your style, you’ll love the fairytale city that is Prague. 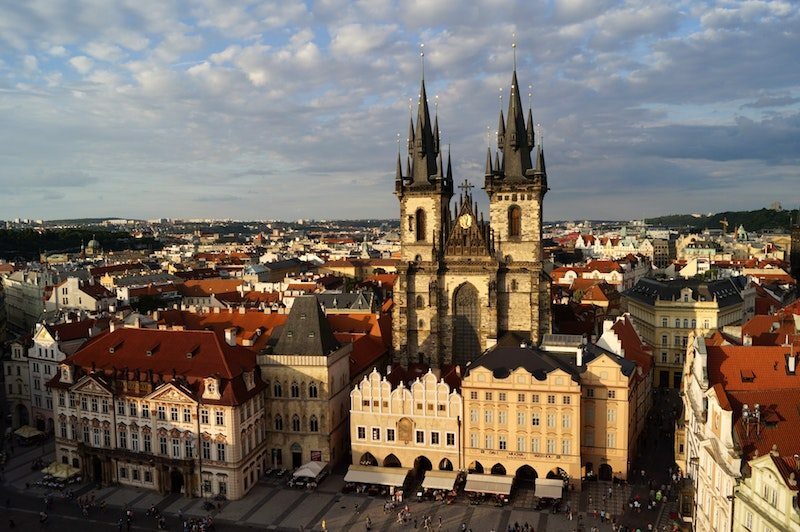 Built on the banks of the Vltava River, this historic city dates back to the 7th century. Given the fact that cars weren’t around for several hundred years, Prague’s historic center is a maze of narrow, pedestrian-only lanes. Incidentally, this maze-like layout was the reason I continuously got lost when I studied abroad there during college, even months after I arrived. Regardless, the city is gorgeous, but it also has a gritty, edgy vibe to it — think basement punk shows and house music clubs in old bunkers. It’s also popular among digital nomads, with coworking spaces popping up in recent years such as Impact Hub and Coworking Prague. You’ll also get to experience Europe without the high prices of Paris or London. Numbeo puts Prague’s consumer prices at 63% lower than New York City’s (and rent prices are 76% lower). The average rent for a one-bedroom apartment in the city center is just $758 and outside the city center is $575. Plus, if you get tired of dumplings and pivo (beer), other major European cities are a short flight or train ride away. 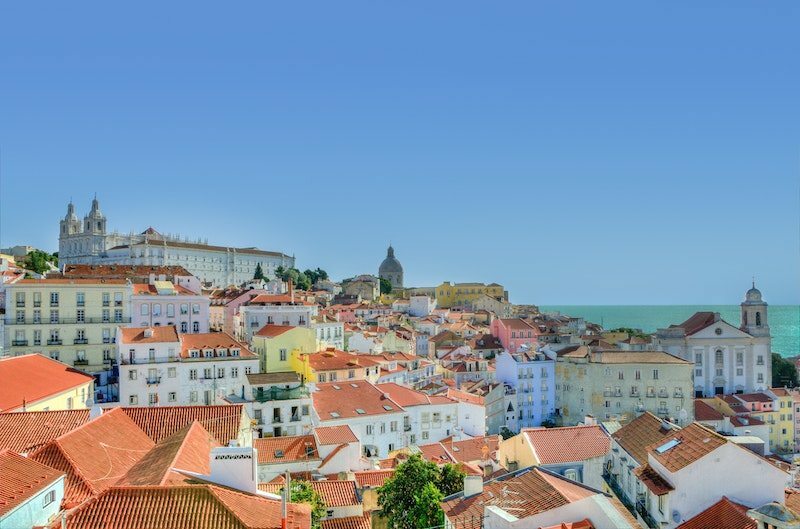 If year-round sunshine is your priority, you’ll love the palm trees, red roofs, and sea breezes of Lisbon. Not only does Lisbon have beautiful weather and Mediterranean vibes, but it’s also been booming as a tech hub in recent years. This southern city has become a hot spot for digital nomads, and you can enjoy coworking spaces like Impact Hub and Cowork Central or test the waters with Outsite, a coworking and coliving organization. Although property prices have been going up in Lisbon, rent is still more affordable than some other major cities. Numbeo estimates the average rent of a one-bedroom in the city center would be $927 per month and outside it would be $624. Overall, consumer prices are 57% lower and rent prices are 70% lower than they are in New York City — but more importantly, you’ll find pastel de nata everywhere. Similar to Prague, Budapest is another gem of an eastern European city spread along the banks of a river, in this case, the Danube. 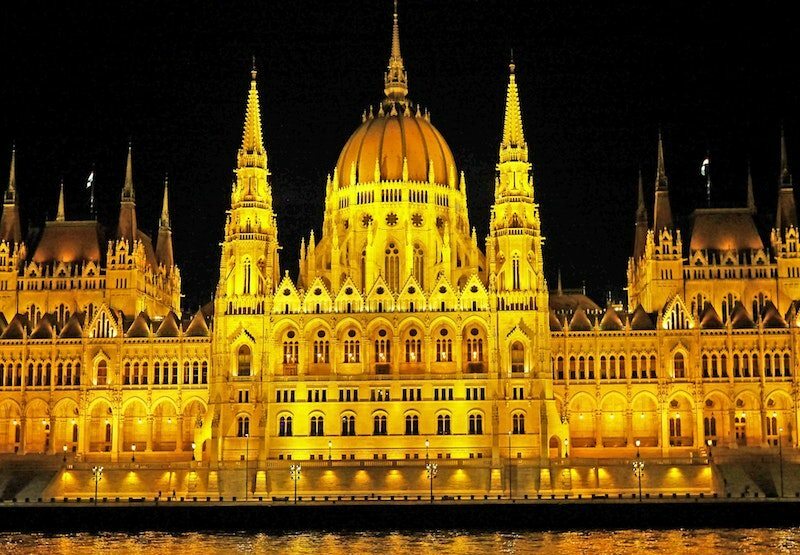 You’ll find gorgeous art nouveau, neoclassical, and Gothic revival architecture, as well as sweeping views of the city from Buda Castle. Plus, consumer prices are seriously low — 69% lower than New York City’s, according to Numbeo. And in case you were wondering, the rumors are true — the beer really is cheaper than the water. Thanks to Budapest’s low prices, high quality of living, and easy access to the rest of Europe, it has become a popular spot among digital nomads, who frequent coworking spaces like Kubik and Impact Hub. You’ll also enjoy the thermal baths, which are a great place to relax all day after hopping around funky ruin bars the night before. One downside, though — Hungary banned Uber in 2016, and the taxi drivers are notoriously shady. Luckily, it’s not hard to get a conveniently-located apartment in the city center, as Numbeo puts the average monthly rent for a one-bedroom at just $500. Berlin is another favorite among digital nomads for low cost of living cities. 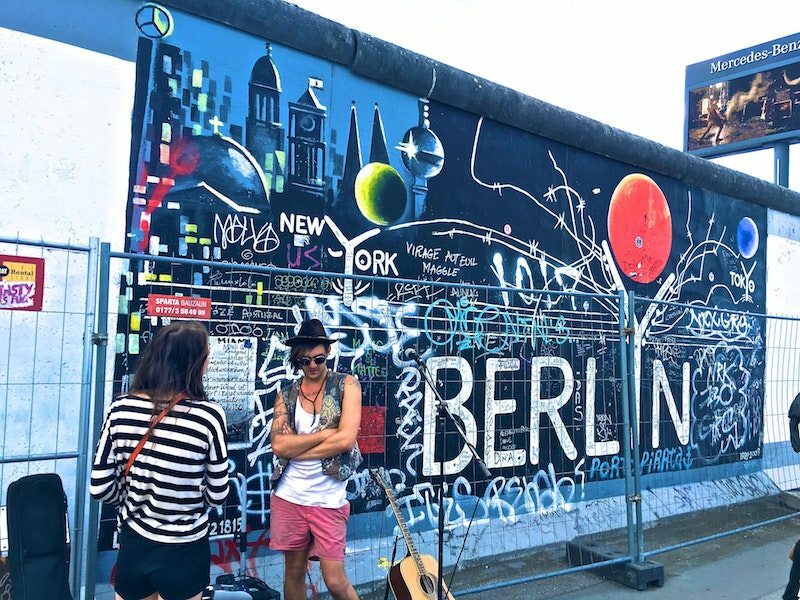 A city of 3.5 million, Berlin has a thriving art and music scene, not to mention its famous nightlife. And even though it’s a huge city, Berlin does a great job of incorporating parks, green spaces, and bike lanes throughout. Although prices are a bit higher than you’ll find in eastern Europe, they’re still not as pricey as other western European cities. Numbeo reveals Berlin’s rent prices to be 49% lower than New York City’s. You can get a one-bedroom in the center for an average of $931 per month, or wander outside the city to lower that cost to $668. 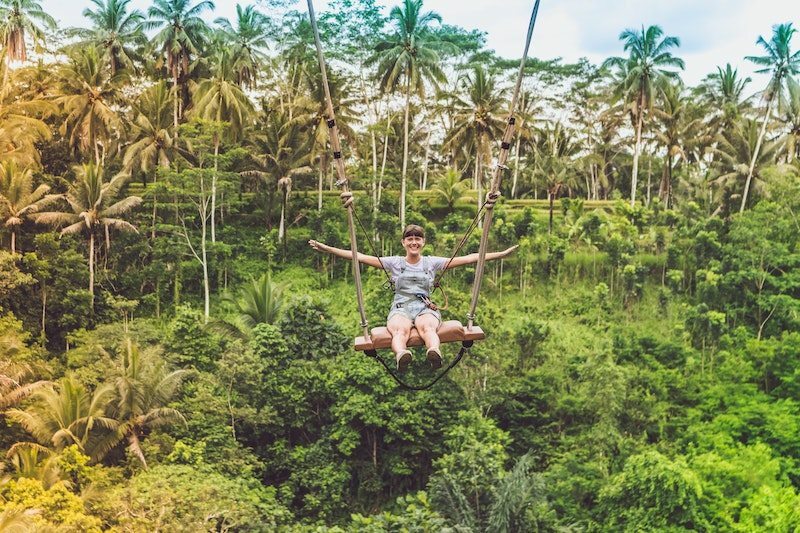 Ubud is a popular destination for tourists, with more than 4.4 million people visiting every year (no data yet on how many are on Eat Pray Love-inspired journeys). But even with the influx of tourism, prices have remained low — rent is 80% lower than in New York City, for instance. Ubud seems like a mecca for the health and wellness-minded with all its yoga studios, healthy foods, massages, and meditation studios. When you want to take a break from temples, monkeys, and rice terraces, you can head an hour or two away to a beach (there’s another Outsite branch in Canggu, by the way, for those who want to try coliving). Although there’s no data on how many digital nomads are congregated there, it’s definitely a popular place among the location independent. Correspondingly, there are a number of coworking spaces with fast wifi and unlimited coffee, with Hubud being one of the most famous. 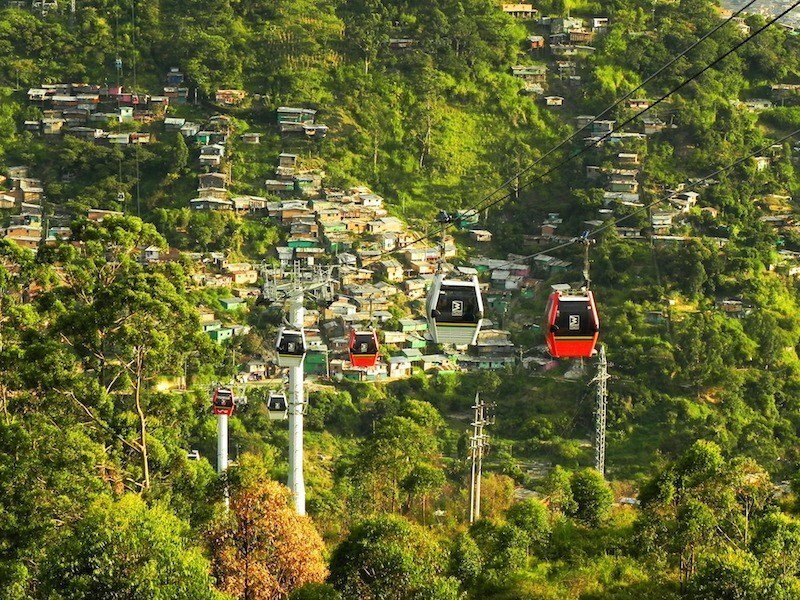 Medellín is another great option for digital nomads seeking warm weather all year wrong. This “City of Eternal Spring” has average temperatures that don’t dip much lower than 59°F in winter or exceed 86°F in summer. Despite its violent past, Medellín is much safer for visitors today and enjoys a large expat and digital nomad population. It has an easy to navigate public transportation city, as well as free WiFi at most cafes and restaurants. Some of its most popular coworking spaces are Epicentro and El Poblado, which you’ll likely be able to afford considering consumer prices are 76% lower than in NYC. If eternal spring and prevalent wifi aren’t tempting enough, consider the average rent for a one-bedroom apartment: just $308 per month. Some digital nomads wander indefinitely, whereas others like to set up a home base somewhere with a low cost of living and high quality of life. If you’re searching for your next place of residence, I recommend Nomad List for a full ranking of best low cost of living cities for digital nomads. This site scores on factors like internet, safety, walkability, and weather, so you can learn about cities that seem like a good fit. Of course, settling in one place isn’t for everyone. If you’d rather sample a bunch of different countries, check out this list of programs that take digital nomads around the world.